FABBS is pleased to announce the 2018 Early Career Impact Award winners. This award is presented to early career scientists of FABBS member societies during the first 10 years post-PhD and recognizes scientists who have made major contributions to the sciences of mind, brain, and behavior. The goal is to enhance public visibility of these sciences and the particular research through the dissemination efforts of the FABBS in collaboration with the member societies and award winners. Dr. Leslie Blaha imagines a future where Smart Adaptive Interfaces will transform the way we use cognitive models to enhance human decision making. These are systems that integrate cognitive models with machine intelligence to support decision making because they are intelligent about their users. Her research is pioneering methods for estimating cognitive model parameters and making inferences about operator state and cognitive mechanisms in real-time, while a person is performing a task of interest. She has demonstrated this in the first real-time cognitive model-based fatigue assessment technique, and is currently working on real-time workload efficiency assessment. 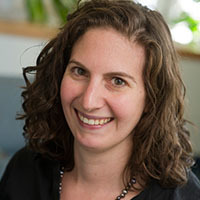 Her work emphasizes interdisciplinary collaborations to develop new techniques for interactive machine learning and human-machine teams for visual analytics that integrate cognitive models. This has resulted in new theory for assessing cognitive bias in the visual analytic process through interface interactions. She has advanced our understanding of human information processing in many ways, such as developing new non-parametric statistical tools for understanding the way in which processing capacity can change. Dr. Blaha has demonstrated these techniques in important applied situations, such as in perceptual learning and 3D perception. 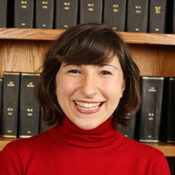 She has demonstrated cutting-edge uses of statistical learning techniques to identify individual differences and group trends in human information processing. She has explored topological data analytic approaches as novel methods for understanding perceptual representation spaces, and used Gaussian processes to establish a functional version of Fitts’ law. Collectively, these advance the techniques for modeling human performance in human-computer interaction tasks and challenges. In 2016, Dr. Blaha assumed a Chief Scientist role for the Analysis in Motion Initiative at the Pacific Northwest National Laboratory (PNNL). Through this Initiative, she is pioneering human-machine team solutions for interactive streaming analytics, combining new techniques for streaming data analysis and real- time cognitive modeling for decision making. Dr. Blaha completed her doctoral degree in cognitive science and cognitive psychology at Indiana University, Bloomington. Following her degree, she assumed an engineering research psychologist position in the Human Effectiveness Directorate at the Air Force Research Laboratory. There she worked on the strategic expansion of cognitive modeling throughout the Directorate, and began developing applications of human information processing modeling to information visualization and visual analytics challenges. Her work has resulted in important impacts on basic science, especially through collaboration with university faculty, and applied science through collaboration with warfighters in operational settings. Dr. Blaha has been a force for positive change in many ways beyond this. She served as a mentor to more than a dozen interns through various programs, including women and minority in science programs, twice winning the Directorate’s Mentor of the Year Award. She is a founding member of the society for Women of Mathematical Psychology, and co-organizes the annual WoMP professional development symposium. Working with the leadership of the Women in Cognitive Science, she is helping strengthen the network and provide mentorship for females in cognitive psychology. 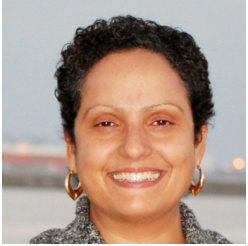 She has served on review panels for the NSF, including the Graduate Research Fellowship Program, and AFOSR. She actively engages in STEM outreach, including judging local science fairs, working the Math is Cool! middle school math competitions, and developing STEM curricula. As of the end of 2018, Dr. Blaha is a senior research psychologist at the Air Force Research Laboratory, embedded at Carnegie Mellon University. Dr. Braasch investigates how people’s knowledge and beliefs affect their comprehension, interpretation, and evaluation of information. The research is directly relevant to the well-documented finding that people tend to reject new information that opposes their knowledge and beliefs. His research explores how to make it less likely that such information will be rejected. His work is critical in this current time of science mistrust and skepticism among members of the public. Dr. Braasch’s work acknowledges the importance of careful analysis of disciplinary concepts and principles in the development of interventions. Thus, he has focused on topics, concepts, and principles that are regarded as central and important to comprehending scientific topics. By carefully assessing participants’ prior knowledge and beliefs, Dr. Braasch has shown that instructional interventions have different effects (from large to none at all) across learners depending on the type of pre- or mis-conceptions they bring to the learning situation. Dr. Braasch is making important contributions to our understanding of how individuals reconcile conflicts between their knowledge and new information. He has advanced design considerations for instructional interventions that help readers acquire more accurate and complete scientific understandings, given their prior knowledge and beliefs. He demonstrates broad methodological competence in researching these issues, successfully combining off-line (e.g., tests and questionnaires) and on-line (e.g., think-alouds, eye tracking) approaches. From an implementation standpoint his work demonstrates that simple assumptions about the efficacy of instructional treatments need to carefully consider the characteristics of learners and anticipate that the “same” instruction will not have the “same” impact on all learners. Dr. Braasch has developed interventions that supported students’ processing of source characteristics of documents as a critical aspect of evaluating the objectivity and “truth value” of information from different sources. More broadly, Dr. Braasch’s work has shown that discrepancy detection and sourcing and the role these processes play in synthesizing information from multiple conflicting sources are central to societal concerns about the rejection of science, reconstruction of history, and susceptibility to unreliable information. Dr. Braasch has spoken on the importance of critical thinking and Internet source evaluation to high school, undergraduate, and graduate students in international (France, Germany, and Norway) and US contexts. He will be presenting at the Governor’s School for International Studies-a Tennessee-wide initiative engaging high school students in discussions about global cultures, foreign languages, and international perspectives. The goal of these activities is to optimize readers’ evaluation of the veracity of the information they read on scientific topics, thus promoting informed decision making. Additionally, he has participated in professional development workshops with graduate students in the US and abroad, addressing the importance of adopting diverse, complementary research methods when studying science learning (e.g., assessments based on think-alouds, eye-tracking data). The goal of these activities is to provide emerging researchers with a toolkit of assessments for investigating cognitive processes occurring during science learning. Dr. Braasch has also tutored middle school students in Memphis’ most underserved neighborhoods. Informed by his and others’ research on conceptual change learning in mathematics and science, he focuses on illuminating and then remediating problematic understandings. The goal of these activities is to use best practices to help academically-struggling students overcome problematic conceptions in mathematics and science. Dr. Braasch is an Assistant Professor at the University of Memphis. He previously was a post-doctoral research fellow at the University of Oslo and University of Poitiers. Kathleen Corriveau is an Associate Professor in Human Development at Boston University School of Education, where she directs the Social Learning Laboratory. Her research focuses on social and cognitive development in childhood, with a specific focus on how children decide what people and what information are trustworthy sources. Her work has shown that children differ in their biases to trust individuals even before entering formal schooling. Her research focuses on the malleable factors associated with children’s selective trust in individuals in formal and informal settings through partnerships with the Museum of Science Boston. Corriveau is the recipient of the 2015 AERA Division E Distinguished Research Award, and was elected as a fellow to the Psychonomic Society in 2014. She was named a “Rising Star” by the Association of Psychological Science in 2015. She is a recipient of the National Academy of Education/Spencer Foundation Postdoctoral Fellowship and recently received a CAREER grant from the National Science Foundation. At a time when the public is struggling to differentiate between ‘fake news’ and reliable reporting, Dr. Corriveau’s work gets to the heart of the question of how individuals almost instinctively either believe or dismiss information. This research raises critical questions about how to counter these biases or how to account for them when striving to share factual information. Corriveau’s research findings have been covered by the Wall Street Journal, The Economist, and USA Today. She has presented her research to a range of groups in the U.S. and across the globe, including invited talks at the University of Cambridge in 2016, the 2015 Conference on Teacher’s Cognition in Paris, and The Tenth International School on Mind held in Italy. The partnerships she has developed with museums inform how teachers portray scientific concepts in their classrooms, particularly for early learners. 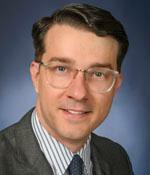 Dr. Corriveau is an associate professor at Boston University. She received her EdD at Harvard University, where she also completed a post-doctoral fellowship. Dr. Krigbaum’s major research contributions include monitoring 19-channels z-scores treatment progression and clinical outcomes. In these times of metrics and the need for reliable information on patient/client improvement, this method provides a mechanism to quantitatively monitor treatment progression of QEEG metrics, which can be triangulated with clinical outcome measures. She is currently researching factors in the transition of career military personnel to the civilian workforce. Dr. Krigbaum is very active in the community through peer-reviewing publications, giving conference presentations, training other clinicians, and continuing to support/inform the work of clinicians through consultations. She is also the official moderator of the Association for Applied Psychophysiology & Biofeedback listserv. Dr. Krigbaum’s earned her PsyD in clinical psychology at the Arizona School of Professional Psychology, after beginning her education in the Dominican Republic. She continued her post-doctoral work at Arizona State University Counseling Services. Dr. Krigbaum is an affiliate faculty at Grand Canyon University and maintains an independent consultative practice. Read her profile, “Individualized Medicine with No Side Effects? It’s Already Here“. Dr. Sterba’s research interests span three important areas and integrate theoretical insights with new empirical results. These areas each pertain to multivariate models used extensively in the behavioral sciences. In her study of these models, Dr. Sterba seeks to clarify hypotheses that can appropriately be tested and conditions under which models yield accurate results. She has extended classes of finite mixture and multilevel models to accommodate data structures that are commonly found in the behavioral sciences, but for which existing models were inadequate. 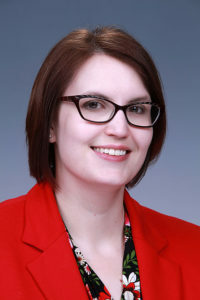 Dr. Sterba’s clear writing style makes her work accessible not only to methodologists but also to substantive researchers, and she often provides user-friendly computer code or programs to carry out analyses. As such, her research has far-reaching implications for substantive applications in the behavioral sciences. Her first area of research concerns finite mixture models, which are commonly used to capture population heterogeneity. Her papers have greatly advanced social scientists’ understanding of the interpretation and performance of mixture models. In particular, Dr. Sterba’s research has clarified how mixture models are related to each other and to multilevel models, how mixture models can be adapted to accommodate different kinds of missing data, how they can recover interaction effects, and how they can be used in assessing explained variance. A second focus of Dr. Sterba’s research is the widespread use of item parceling, or combining small groups of items to produce more continuously and normally distributed variables. Dr. Sterba had the insight that the selection of which items to include in which parcels introduced a source of additional variability in model results that was not well understood. In a series of papers, Dr. Sterba demonstrated that different allocations of items to parcels could influence parameter estimates, model fit, and the ranking of models. She then developed methods and software tools to ameliorate this problem. Her work upended conventional thinking regarding the impact of different assignments of items to parcels, showing that even under ideal conditions this aspect of parceling can be highly consequential. Her third major focus is on analyzing partially nested data, which frequently arises in clinical and educational settings when some individuals are nested within groups (e.g., group therapy treatment) and others are not (e.g., wait-list control). Ignoring partial nesting leads to biased standard errors for treatment effects. She introduced structural equation models and extended multilevel models to accommodate partially nested data for a variety of designs. Her work on this topic greatly increased modeling options for partially nested data. Dr. Sterba is an associate professor and director of the Quantitative Methods Program at Vanderbilt University and she received her PhD from the University of North Carolina at Chapel Hill. She is the recipient of the 2018 Anne Anastasi Distinguished Early Career Contribution Award (APA), 2015 Rising Star Award (APS), and 2015 Cattell Early Career Research Award (SMEP). Additionally, she has taken on important service roles that enhance communication of quantitative modeling advances to the scientific community and public, including serving as Program Chair of the American Psychological Association, Division 5. Karin has published in a wide variety of high impact journals in the areas of behavioral genetics and genetic epidemiology. Her work spans a number of areas including addiction, sexual behavior, relationship partner preferences and choices, intelligence, musical ability, psychiatric disorders, and self harm. This breadth of work reflects, in part, her curiosity and willingness to follow interesting questions wherever they take her. She has mastered a range of relevant theoretical perspectives across multiple disciplines, all while maintaining her focus on the role of genetics. 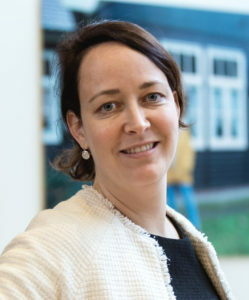 In terms of the methodological approaches she employs, Karin has consistently capitalised on the field’s rapid advances in techniques and data, identifying the opportunities they provide to answer new questions. This has meant analyses using a variety of methods, including twin-family studies, candidate gene (non)replications, genomewide association studies, GREML (GCTA) analysis, polygenic prediction, and runs of homozygosity (testing inbreeding effects). Karin’s work has earned a number of awards, prizes and grants including best early career presentation at the World Congress on Psychiatric Genetics in 2016, and a NARSAD Young Investigator Grant in 2015 (through 2017). She has started a new position at the Academic Medical Centre in Amsterdam in January 2018, which will place her in an even better position for raising awareness of behavioral genetic research to the public. Karin did her PhD at the QIMR Berghofer Medical Research Institute and the University of Queensland in Brisbane, Australia and worked as a postdoctoral researcher at the VU University (Amsterdam, the Netherlands), the University of Queensland (Brisbane, Australia), the Karolinska Institutet (Stockholm, the Netherlands), and the Radboud University (Nijmegen, the Netherlands).